The research branch of Human Dignity and Humiliation Studies (HumanDHS) aims at encouraging research related to dignity and humiliation. We wish to contribute to the capacity of people to build peaceful societies and be mindful of how humiliation may disrupt the social fabric, and how social cohesion may be sustained by preventing humiliation from occurring. You are invited to develop ideas and projects that aim at dignifying our world, and preventing and healing humiliation. We wish to harness and nurture everybody's expertise for our HumanDHS research activities, create cross-fertilization and synergy, and hope that our efforts will grow organically from our discussions and meetings! Moira Rogers is a Member of the HumanDHS Global Advisory Board and part of the core HumanDHS Research Management Team. Grace Feuerverger is also a Member of the HumanDHS Board of Directors, and a Member of the HumanDHS Global Advisory Board, and of the HumanDHS Education Team. Doron Shultziner is also a Member of the HumanDHS Education Team. Patricia Rodriguez Mosquera is also a Member of the HumanDHS Global Core Team and she is part of the core HumanDHS Research Management Team. Paul A. Stokes is also a Member of the HumanDHS Global Advisory Board. He is part of the core HumanDHS Research Management Team. Alicia Cabezudo is a Member of the HumanDHS Global Advisory Board and part of the core HumanDHS Research Management Team. Professor Bernard Hoffert is also a Member of the HumanDHS Global Advisory Board. Emanuela C. Del Re is also a Member of the HumanDHS Global Advisory Board. Lynne Edwards is the Director and Coordinator of the Napier HumanDHS Group. Myra Mendible is also a Member of the HumanDHS Global Core Team. ASHRAF SALAMA is also a Member of the HumanDHS Global Advisory Board, and the Director and Coordinator of the HumanDHS World Architecture for Equal Dignity project. Zehlia Babaci-Wilhite is also a Member of the HumanDHS Education Team. Einar Strumse is also a Member of the HumanDHS Global Core Team and the HumanDHS Architecture Team. Katrine Fangen is also a Member of the HumanDHS Global Core Team. Øyvind Eikrem (b. 1973), Ph.D., is also a Member of the HumanDHS Global Core Team. Dr. Jennifer S. Goldman-Wetzler is also a member of the HumanDHS Global Core Team. Sophie Schaarschmidt is also a Member of the HumanDHS Global Core Team, and the HumanDHS Education Team. Esta Tina Ottman is also a Member of the HumanDHS's Global Core Team , and Director and Coordinator of HumanDHS's World Films for Equal Dignity Project. Edward J. Emergy is a Member of the HumanDHS Global Core Team and HumanDHS Education Team. 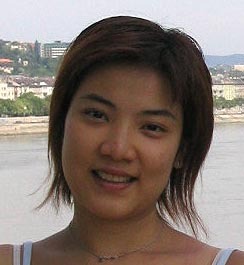 Vivian Lun is also a Member of the HumanDHS Global Core Team. Sowan Wong is also a Member of the HumanDHS Research Team, and of the Global Coordinating Team. Miriam H. Marton is also a Member of the HumanDHS Global Core Team. Ana Ljubinkovic is also a Member of the HumanDHS Global Core Team. Deepak Tripathi is also a Member of the HumanDHS Global Advisory Board. Zahid Shahab Ahmed is also a Member of the HumanDHS Global Core Team. Zuzana Luckay Mihalčinová is also a member of our Global Coordinating Team, project leader of the World Literature for Equal Dignity intervention project, editor at the Dignity Press, and Global Dignity Nurturer. Gabriela Rodrigues Saab Rivo is also a Member of the HumanDHS Education Team. Gabriela Saab has earned her PhD from the University of Sao Paulo. She holds two Masters in Public International Law and Human Rights. Her studies focus on human rights, environmental protection, and armed conflicts. Tonya R. Hammer is also a Member of the HumanDHS Global Core Team, and the Global Coordinating Team. Salman Türken is also a Member of the HumanDHS Global Core Team, and the HumanDHS Education Team. Jennifer Kirby is also a Member of the HumanDHS Global Coordinating Team, of the HumanDHS Global Core Team, and of the HumanDHS Education Team. Ardian Adžanela (originally Axhanela) is also a Member of the HumanDHS Global Coordinating Team. Annette Anderson-Engler, Ph.D., is a Member of the HumanDHS Global Core Team, the HumanDHS Education Team, our HumanDHS Research Team, and our Global Coordinating Team. Caroline Anne Amollo is also a Member in our HumanDHS Global Education Team. David Balosa is also a Member of the HumanDHS Education Team. Seif Sekalala is also a Member of the HumanDHS Education Team. Doaa Rashed is also a Member of the HumanDHS Education Team. Fonkem Achankeng is also Member of the HumanDHS Education Team. Please find Ramish Ramloll's background here. Please meet also Jaishree Beedasy, the wife of Ramesh Ramloll. Tomoko Ishii is also a member of our HumanDHS Global Core Team. Linda M. Hartling, Ph.D., is the HumanDHS Director, and also a Member of the HumanDHS Global Advisory Board, and the HumanDHS Education Team. She is furthermore the Editor of the Journal of Human Dignity and Humiliation Studies (JHDHS). Moira Rogers is also a Member of the HumanDHS Global Advisory Board and part of the core HumanDHS Research Management Team. Maggie O'Neill is also a Member of the HumanDHS Board of Directors, the HumanDHS Global Advisory Board, the HumanDHs Global Core Team, and part of the core HumanDHS Research Management Team. Maggie is particularly an Academic Advisor to our upcoming Refugees and Humiliation Project. She is furthermore a Member of the Academic Board of the Journal of Human Dignity and Humiliation Studies (JHDHS). Evelin Gerda Lindner is the Founding Manager of HumanDHS and a cross-cultural social psychologist and physician. She is part of the HumanDHS Research Management Team. Alicia Cabezudo is also a Member of the HumanDHS Global Advisory Board and part of the core HumanDHS Research Management Team. Arie Nadler is also a Member of the HumanDHS Global Advisory Board. Peter T. Coleman is also a Member of the HumanDHS Global Advisory Board. Michael Harris Bond is also a Member of the HumanDHS Global Advisory Board. Finn Tschudi is also a Member of the HumanDHS Global Advisory Board. Howard Zehr is also a Member of the HumanDHS Global Advisory Board. Tony Jenkins is also a Member of the HumanDHS Education Team. Floyd Webster Rudmin is Co-Director and Co-Coordinator of the HumanDHS Stop Hazing and Bullying Project and the HumanDHS World Gender Relations for Equal Dignity Project, as well as the HumanDHS Apology Project. He is also a member of the HumanDHS Global Core Team, and the HumanDHS Advisory Board. Zahid Shahab Ahmed (Pakistan) is also a Member of the HumanDHS Global Core Team. Victoria Christine Fontan is a Member of the HumanDHS Board of Directors, the HumanDHS Global Advisory Board, the HumanDHS Global Core Team, the HumanDHS Research Team, and the HumanDHS Education Team. She is furthermore the former Co-Editor of the Journal of Human Dignity and Humiliation Studies (JHDHS). Jean-Damascène Gasanabo (Damas) is also a Member of our HumanDHS Global Core Team and Education Team. Alyi Patrick Lalur (Uganda/UK) is also a Member of the HumanDHS Global Core Team, and Director and Coordinator of HumanDHS's Child Soldiers Worldwide Project. Moira R. Rogers, Ph.D., is also a Member of the HumanDHS Global Advisory Board and part of the core HumanDHS Research Management Team. Noor Akbar is also a Member of the HumanDHS Global Coordinating Team, of the HumanDHS Global Core Team, and of the HumanDHS Education Team. Corinna Carmen Gayer is also a Member of the HumanDHS Education Team. Susmita Thukral is also a Member of the HumanDHS Global Core Team and the HumanDHS Education Team. Susmita is from New Delhi, India. She has a Masters in Psychology and Education from Teachers College, Columbia University. Susmita has extensive research experience and has worked on an interdisciplinary research project on the lives of individuals who witnessed the partition of India and the violence that it entailed. Her scholarly interests include genocide, war trauma and terrorism. She wishes to actively work in the area of trauma studies in a way that allows her to combine her psychodynamic orientation and socio-political interests.